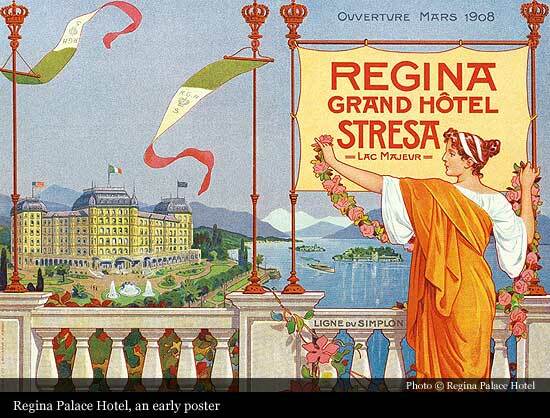 The history of the Regina Palace Hotel is indissolubly linked with the history of Stresa. Originally it was Strixia, meaning “strip of land”: a very small village, just a few houses overlooking Lake Maggiore, with no road links at all. 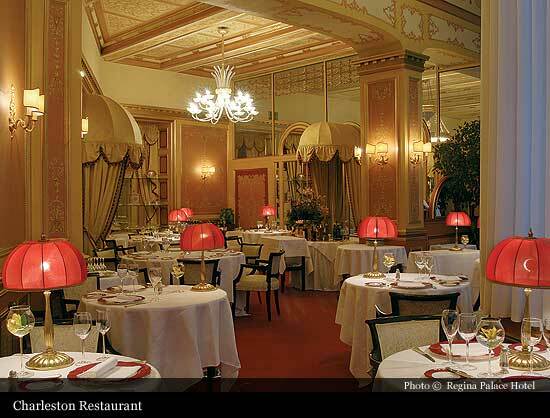 Stresa owes its growth to the construction of the Via del Sempione by Napoleon Bonaparte in the early nineteenth century. The road runs along Lake Maggiore from Arona to Feriolo, then bends toward the Ossola Valley, where it joins the road from Switzerland. It is thanks to this road that Stresa grew from a tiny fishing village into a favourite destination of well-to-do holiday-makers, who built sumptuous villas on the lakeshore. But the true turning point in the town’s growth came in 1906, with the opening of the Sempione railway, which made Stresa an obligatory stopping-point on the London-Paris-Milan-Venice route and generated demand for accommodations that met the standards of the great European cities. 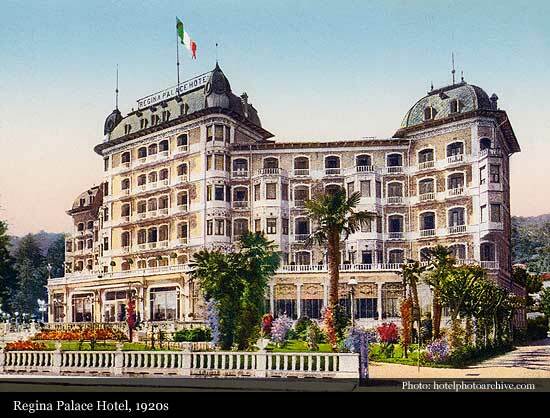 “Società Anonima Italiana per gli Alberghi del Lago Maggiore” was established in the same year in response to this demand, and on June 27 1908 the company opened the Regina Palace Hotel. 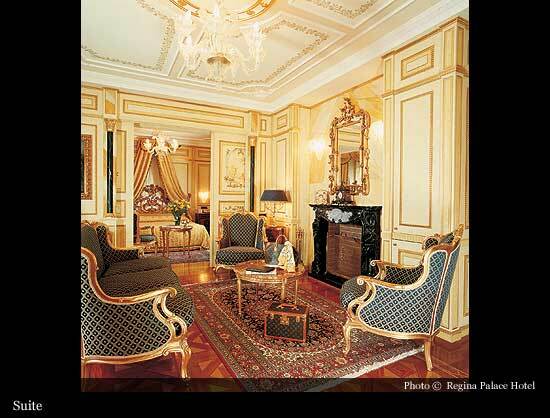 Architect Giuseppe Pagani designed the exterior and the interior decor in pure art nouveau style: luxurious furnishings, crystal chandeliers, precious fabrics and frescoes made the Regina Palace Hotel a very exclusive place to stay. 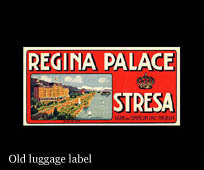 The rise of the legendary international train routes such as the Orient Express and Peninsular Express brought the world’s wealthiest travellers to Stresa and to the Regina Palace Hotel. 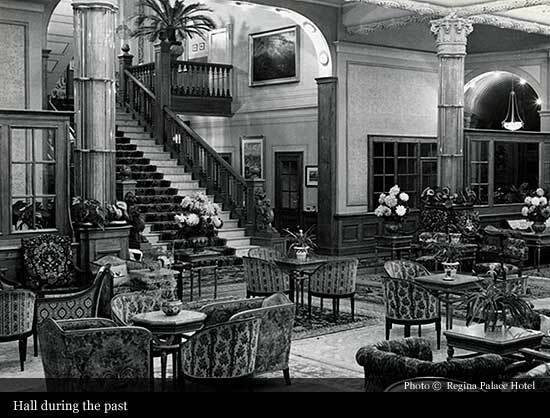 The first world war caused a temporary interruption, but after the war illustrious guests once more flocked to the hotel’s luxurious suites. 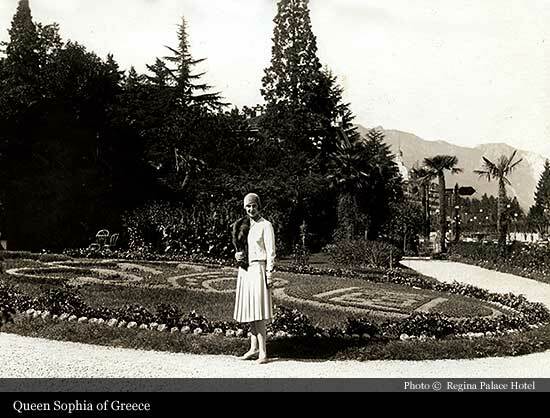 Among them were Queen Sophia of Greece and composer Pietro Mascagni, who often composed music sitting in the garden. 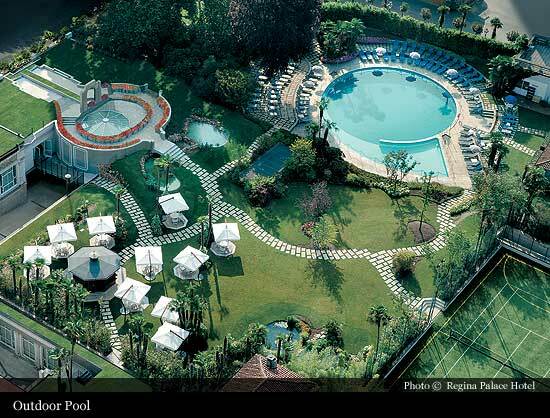 In the ‘thirties the Prince of Piedmont and future King of Italy Umberto II stayed at the Regina in the company of Maria Josè of Belgium. 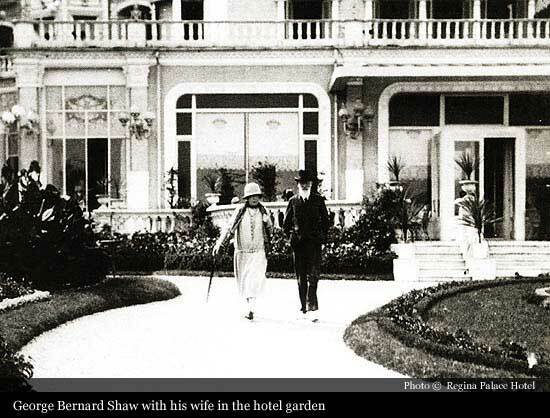 Crowned heads and writers, actors and musicians continued to frequent the hotel in the years to come: Princess Jolanda of Savoy, Princess Margaret of England, King Hussein of Jordan, King Faruk of Egypt and Nobel Prize laureate in literature George Bernard Shaw. 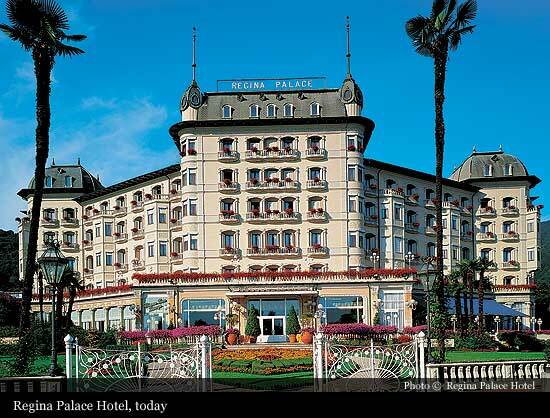 In the ‘fifties Stresa became a focal point for the emerging Italian cinema scene, and many famous actors stayed at the Regina Palace Hotel, including Totò, Lucia Bosè and Gina Lollobrigida, who filmed Miss Italia here. 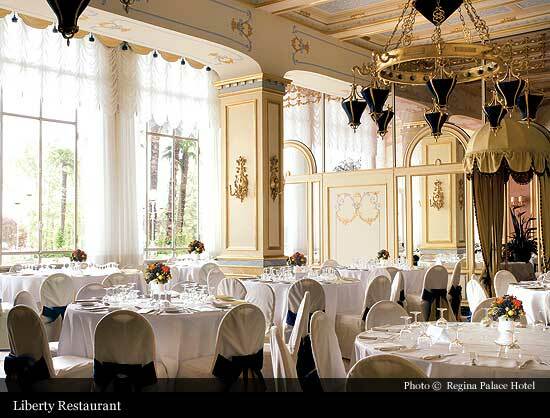 The musicians who visit every year for the “Settimane Musicali di Stresa” music festival include great performers of classical music from all over the world such as violinist Uto Ughi, flautist Severino Gazzelloni, trumpeter Maurice Andrè, the Berlin Philharmonic and Maestro Aldo Piccolini. 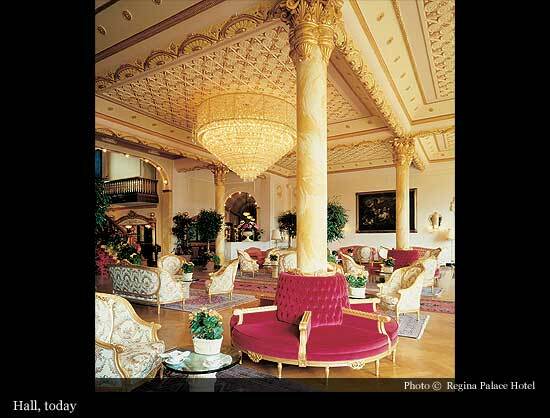 Recently, in September 2004, the Regina Palace Hotel hosted famous personalities from the worlds of finance and politics as well as nobility for the wedding of Lavinia Borromeo and John Elkann. 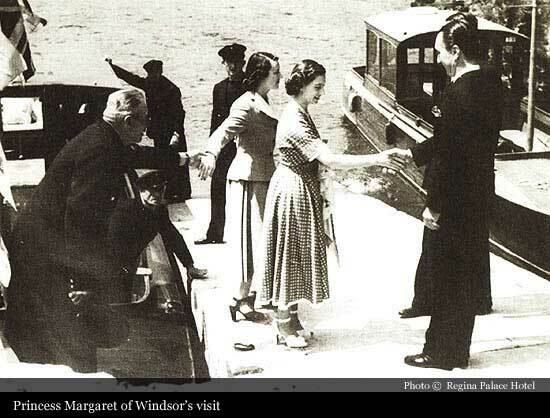 On countless other occasions it has hosted famous people from a variety of backgrounds: Nobel Prize laureate in medicine Rita Levi Montalcini, Alberto Tomba, Mario Cipollini, Katia Ricciarelli, Nikita Magalov, Leone Romiti, Ivana Trump, Luca Cordero di Montezemolo, Silvio Berlusconi.